Lenovo is picking up itself quite fast in the Mobile market to keep up with the other brands. This time around it has come with the Lenovo ZUK R1 phone which boasts of specs like a 13MP rear camera and an 8MP front camera, an internal storage of 32GB with the option of expanding it to 64GB, etc. The Lenovo ZUK R1 price in India 7999 INR. The Lenovo ZUK R1 features sound quite promising. Whether the features stand up to their expectations can only be known later. Lenovo ZUK R1 phone can have some dedicated customers due to its camera and storage features. The look of this phone is well balanced. It is a rectangle phone with the edges being curved with a silver rim around the body. There is a physical silver rimmed home button on the lower bezel in the front. The front camera is placed a little away from the top right corner towards the inside of the top bezel. The volume rocker and the power button is placed one under the other in the right. 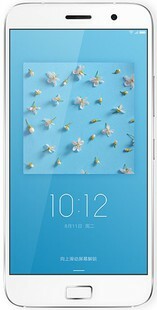 The Lenovo ZUK R1 dimensions are not yet known. Lenovo ZUK R1 display comes with a 5 inches display and an impressive display resolution of 1280 x 720 pixels. The pixel density of the display stands at 294 ppi. It has an IPS display type with a capacitive touchscreen and multi touch. The Lenovo ZUK R1 camera is pretty spectacular with the rear camera of 13MP one and an 8MP front camera. Lenovo seems to have been generous in this department considering the price of the phone. It also has a LED flash. Lenovo ZUK R1 phone comes with a 3GB RAM and an internal storage of 32GB. It can also be expanded to 64 GB using a micro SD card. The Lenovo ZUK R1 battery is a 3000mAh Li-Po removable battery. The talk time and the standby hours from this battery are not yet known. It comes with an Octa-core processor and a Mediatek MT 6755 Chipset. It has an architecture of Cortex A53 which has a frequency of 1.8Ghz.The GPU in this phone is Mali T860. The other Lenovo ZUK R1 specifications include a Dual SIM phone which supports 4G, 3G and 2G, a set of sensors such as Accelerometer, Proximity, Compass and Light. Lenovo ZUK R1 seems to be a really nice phone with all its features. It has high quality camera, a decent storage, an amazing display and also good looks in a mere price of 7999 INR. Lenovo ZUK R1 full specs and reviews as of Apr 2019. Buy it here! Sensors Accelerometer, Proximity, Compass, Light Sensors.